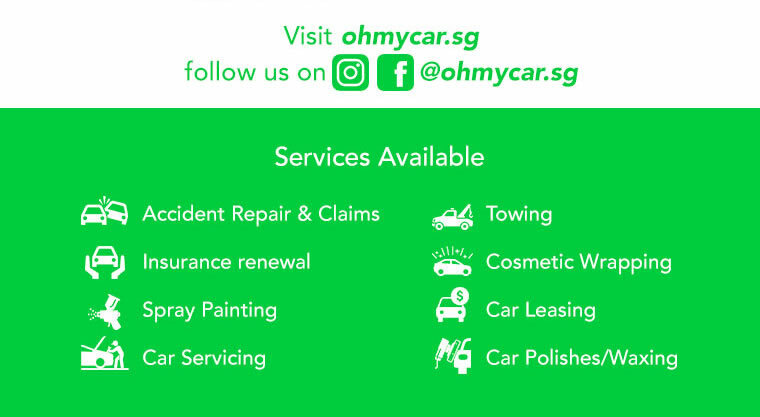 Oh My Car offers wider range of automotive services such as repair all types of motor engines, body welding works, spray painting, car insurance claim & many more! Great customer service and friendly people. 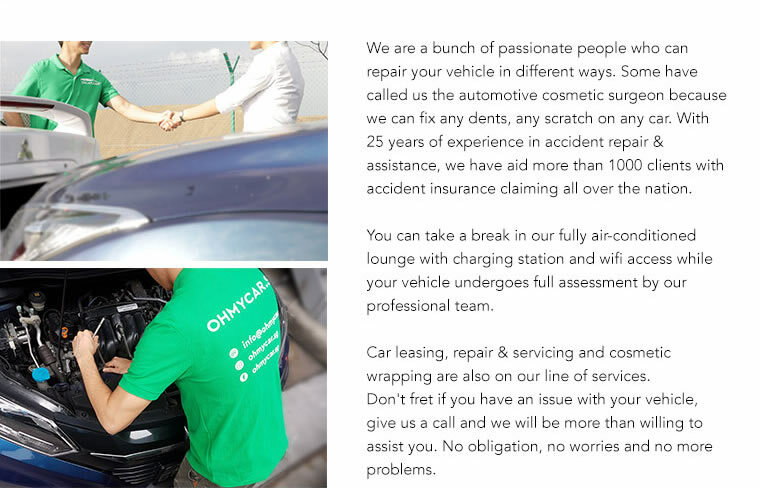 Hassle free and prompt respond whenever i need help. Knock into the wall while reserve. Hey pheron, sorry for the late reply. Thank you for your help last week. Wouldn't have know what to do if you did not approach me at the cross section. Appreciate it thank you. 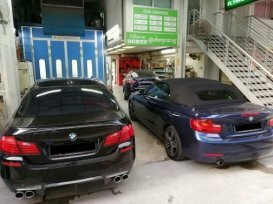 Got into accident last week and this young guy approach me and offer help. Felt abit skeptic and google their company. The overall claim process and repair works are smooth. Nothing to complain about. Thanks.